This sales app is more than just the cloud successor to Dynamics CRM. 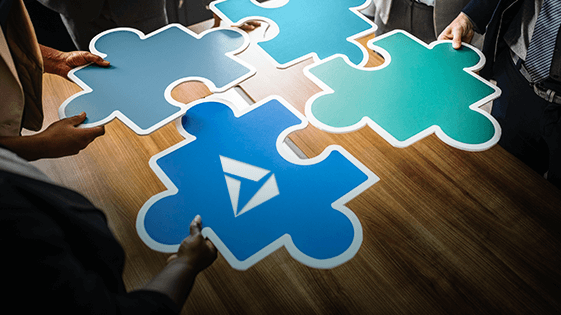 With embedded intelligence, Office 365 integration and a host of other features, it is a truly innovative solution that goes beyond mere customer relationship management or sales force automation. Intelligent tools will help you better understand your customers‘ behavior and needs, giving you clues about how to best communicate with them and submit relevant offers. Increase the transparency of your data with real-time dashboards and analytics. Features like an event-driven sales process and contextual news alerts further empower your team. Easily adapt the app to your requirements without coding. You can always add functionality to your solution with compatible third-party apps or additional Dynamics 365 modules. Once processes are more easily manageable, opportunities more effortlessly recognizable, your team more motivated because it can work from any place at any time, performance will improve automatically. To get all of this and more out of the app, experienced advisor and Dynamics partner proMX will be by your side to offer unparalleled expertise and experience. There is no reason not to use modern technology to help you win and retain customers. 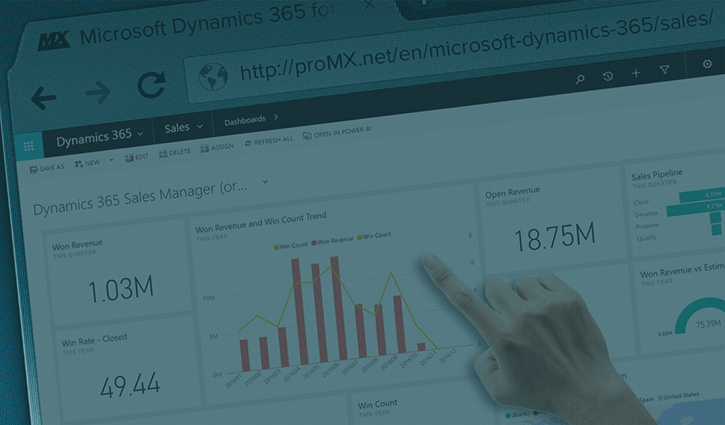 Dynamics 365 for Sales provides you with a number of intelligent tools that offer up new possibilities to your sales team. For instance, social intelligence helps you understand your customers’ mood and recognize when a competitor is getting dangerously close to your prospect. Categorize and qualify leads with the help of AI and Machine Learning technology and improve your success rate and increase sales figures. 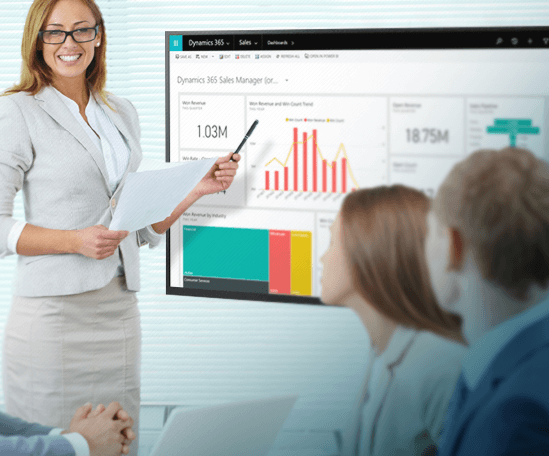 Like any of the Dynamics 365 apps, the sales module offers a lot of functionality and can be used in many different businesses and industries. 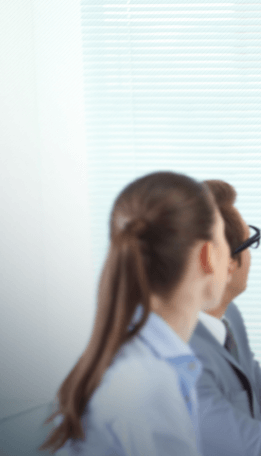 It is routinely called one of the best sales force automation solutions on the market, due to its close integration into the holistic concept of Microsoft Dynamics 365 but also because it is easily adapted to customer requirements. proMX supports you in tailoring the solution exactly to your needs. Let us show you the app in a free webinar, in which you decide which features to focus on. You will benefit from the know-how of our experienced specialists. A project and resource management app that that can be integrated into your sales solution. proRM Fast Start includes time and expense tracking, approval management, project planning and invoicing features. An additional search option for Dynamics 365. proAdvancedSearch combines the benefits of default search options by deliver-ing more specific results than Quick Find and operating faster than Advanced Find. An application to create individual, conse-cutive number ranges for various record types in Dynamics 365. proAutoNumber lets you easily and quickly configure custom num-ber ranges and use them via a workflow.